Many homeowners in Dallas, Texas aim to have outstanding homes not only to impress others but also for their own satisfaction. To make this possible, concrete patios need to look appealing and capable of withstanding everyday wear and tear. Now before grabbing the sledgehammer, there is a more practical method than tearing out the concrete slab. Decorative concrete resurfacing provides more appealing options at a lower concrete patio cost. 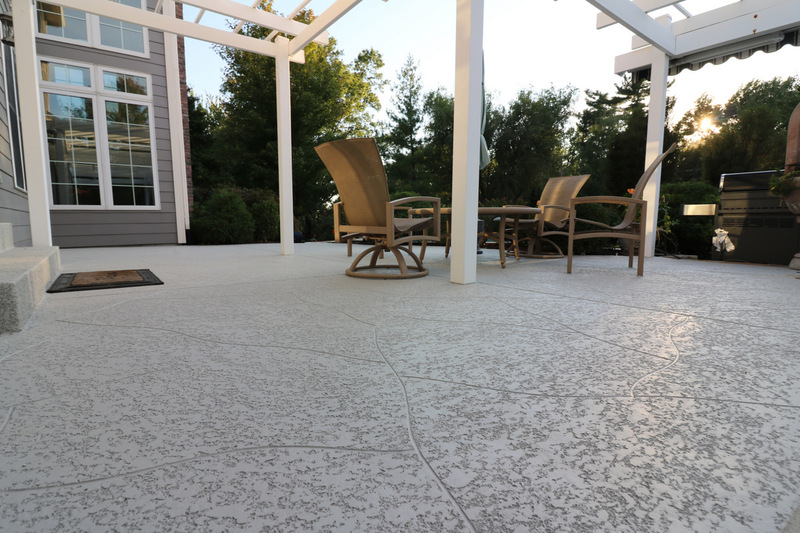 It’s high time to rethink all concrete patio ideas and consider a more affordable solution. Stamped Concrete Overlay – A stamped concrete patio can be made to look like having a more expensive paving material with the wide selection of patterns available for stamping. It can look like brick, flagstone, slate, concrete pavers, cobblestone, and more. Acrylic Cement Coating – This is spray down concrete system that is literally sprayed onto a concrete surface and then knocked down manually with a hand trowel. The result is a beautiful textured surface that looks like stucco. Stained Concrete – This is a great way to upgrade patio floors on its own or as an additional coating to stamped concrete overlay and acrylic cement coating. A stained concrete patio can look like natural stone with the random effects created by the chemical reactions caused by acid stains. It can also be designed more intricately with the more manageable water-based stains. Regardless of the type, it will look so exquisite no one will guess it is a concrete floor. Work with an expert patio resurfacing contractor! Dial (972) 885-6067 now! Just when you thought it was impossible to acquire floors that are as beautiful as they are practical, Dallas Concrete Surfaces enters the picture and provides affordable solutions. Despite the viral DIY concrete patio videos out there, nothing compares to the work quality of an experienced patio installer in Dallas, TX. We offer coatings and overlays that proves having strength and style in one concrete floor is possible. Can’t decide which one to choose? Why not choose more than one? The beauty of contrasts between an acrylic cement patio floor with a stamped concrete border is truly stunning beyond words. Want more ideas? Give us a call! Let’s work on your concrete patio together!